Thin places are those places where you can just reach out and grab a hold of God or feel that he has grabbed you in a big bear hug. I love those hugs and try to give as many as I can. I gave one to Julia Ann, also known as Peg, yesterday, and she hugged me back. I received an embrace from Jesus yesterday in the arms of an elderly lady with beautiful white hair. A thin place. The veil was torn. The divine invaded the mundane in an incarnational and relational way as we would say here at West Hills Church. I have experienced those places on my holy trips to Lebanon and Syria and Iraq as well. 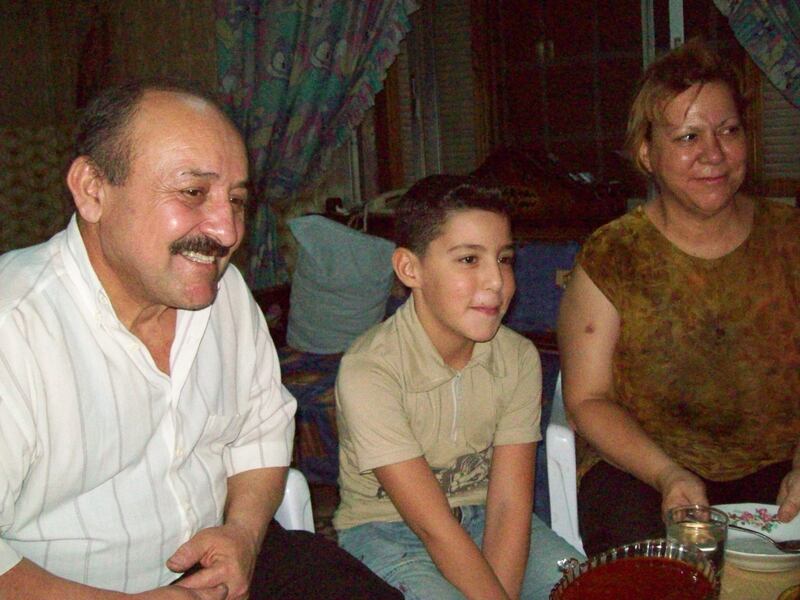 The Aziz family, refugees from Iraq living in Aleppo, Syria, August, 2010. Can you imagine being invited into the home of an Iraqi refugee family in Aleppo, Syria? Neither could have I, but it happened. The Aziz family had found their way to Syria to escape the sectarian violence of Iraq due to our invasion and subsequent war in 2003. Why would they invite in the source of their loss and pain? Why would they use their meager treasure to prepare a banquet for us? Why would they let us share their dreams of a bigger and better life for their lively son Martin? Why indeed. The hospitality they offered to three American women around that table in a place not their home was the communion table that we are all invited to. It was a thin place. Sanaa Koreh in front of what used to be the nursing school at Hamlin Hospital. 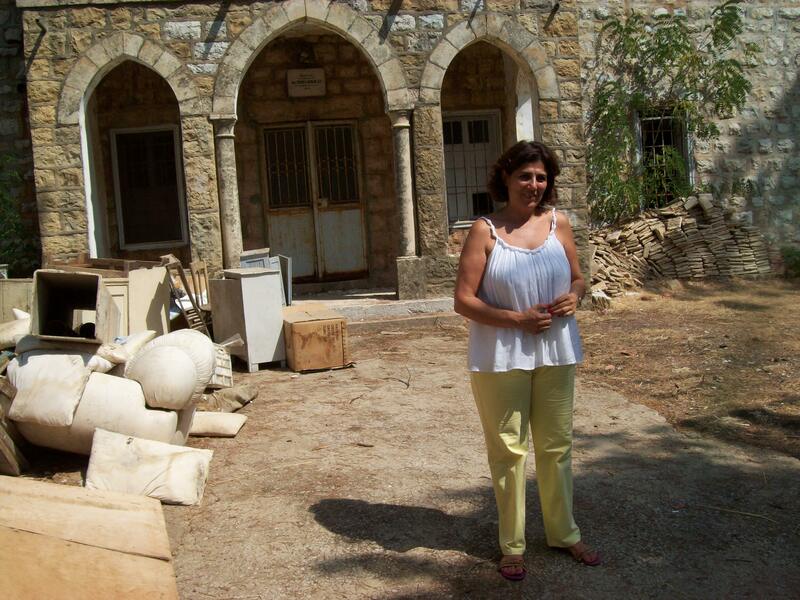 Her vision is to remodel it and give it life again as a nursing school. And when Sanaa sees it in her head, it usually happens! I have experienced that same thin place in the mountains above Beirut at a place called Hamlin Hospital. Started by missionaries to treat those with tuberculosis, it is now an elder care facility run by Jesus incarnate, also known as Sanaa Koreh. In the most holistic and gentle ways possible, Sanaa and her staff care for those near the end of life whose families cannot bear the burden anymore. Christian, Muslim, Druze, it doesn’t matter. Each is a soul loved with beautiful mountain air, fed with homemade food that was grown in the gardens, clothed, sheltered and loved amid music, games and play. When I have been to Hamlin, I have walked as close to heaven as I can get in this world. 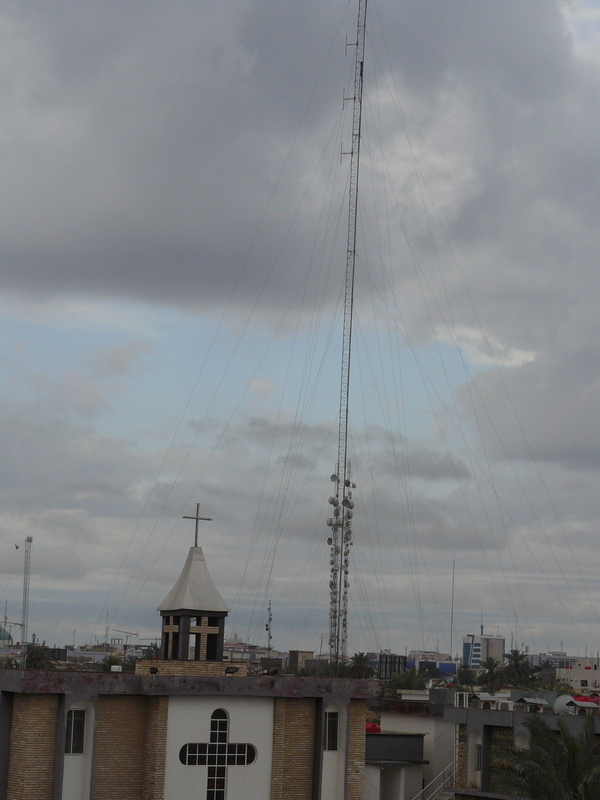 Our presbyterian church home in Basrah with radio antenna. In Iraq – in Basrah and Kirkuk – I have heard the stories of an amazing radio ministry that reaches out kilometers across the country to share the good news with those far and near. One of those stories was about a young jihadi who had been bent on killing his own sister for what he thought were violations of some religious code. And then he heard the story of the woman about to be stoned for adultery. You remember it, it’s in the book of John. “Let any among you without sin cast the first stone.” And they all walked away. And so did this young man. He walked right into the arms of Jesus because of what he heard on that radio station. He is now a pastor, working to plant churches. And I imagine he is somewhere in the north, caring for those who have fled from the fires of hell in the form of ISIS. And another story of the radio ministry: the signals from the broadcast tower itself miraculously kept a car bomb from exploding in front of the church. It was abandoned there, ready to be exploded by remote device because the driver who was supposed to blow himself up with the church got scared and ran. The robots of the bomb squad showed up and were stopped in their tracks too. It was only after the police learned that the radio signal was being broadcast at that time that they figured it out. The frequency of the signal had stopped the remote blaster from working as well as the robots to defuse the bomb. All came out well in the end. Saved by a holy frequency! A thin place indeed. I know when I go back to Lebanon and Syria in November I will have these encounters again, feeling those embraces from a savior who walks with me, invites me to his table in communion with family and shows me over and over again that the promises in that holy word are true. I wrote this poem in Basrah in 2012. I come back to its message time and time again, like yesterday when Julia Ann, also known as Peg, tore down that veil once more. There is only His amazing grace!